It is happening in France, started few month ago. Yellow jacket it’s a kind of revolution by people who are not agree with lot of thing. First they said that its was just because of the augmentation of the price of the gasoline, so they have stopped some car on the road. But after they started to contest the president and broke lot of thing like some car and building. Did you ever find yourself in a situation in which you didn’t feel like yourself? I think we all have. But why does this happen? Maybe, we find something in someone else that we don’t have. Maybe, because we admire someone’s style or even more simple, their way of dealing with a specific situation. The only thing we have to be careful with, is not loosing yourself while trying to make this charateristic your own. But, if we do lose ourselves a little bit, we feel kind of lost. We don’t really know what happened and how this situation could have gone so far. We have to realize that we cannot always change who we are, even if it might be for the better. Remember, that nobody in this world is perfect in every way, so why should you? Accept your flaws. They make you beautiful and unique, so why change? You want to find the one unique thing again which reminds you of yourself. You relate everything to this one object and without it you think it is impossilbe to go back to your usual self. But all of this isn’t quite true, maybe we feel like our personalities depend on this one thing, but let me tell you, that you have to get past projecting and relating it to that object. You can do it without it, I promise. Surround yourself with those freinds who remind you of who you really are and find the confidence again that you used to have. While trying to be something you’re not, you might lose a piece of this confidence. As soon as you realize that you’re still the same person, you get this confidence back and you will feel like yourself again. Accept that this was a lesson of life. You might feel as if you have failed, but you learned from it and that that’s what matters. Coiffirst salons are regulary elected the most beautiful salons in the world. Coiffisrt was created by my boos, Eric PFALZGRAF 30 years ago. Actually, he had 40 salons all around the world and 9 in Paris. Before arriving in Santa Barbara, I worked four years in the Salon of Saint Germain des Pres and Faubourg Saint Honore. I will have the chance when I return to return in salons elected the most beautiful salons in the world by the magazine “Elle” or jhuries of all the world. The most famous is the one in the street of faubourg Saint Honore close to the Elysee Palace where the President of the French Republic lives. This salon is particulary impressive because it has a glass roof over a large part of the salon this brings a very important natural light to be able to admire the various hairstyles. Eric PFALZGRAF is very famous because he has been able demonstrate his luxurious style to his different salons. It bring a chic Parisian style. He finds, for exemple, his mirrors at auctions of Parisian luxury hotels and the integrity of the unique decorations of his salons are spectacular. In February 2018, in the biggest salon of Paris, we have celebrated the 30th year annioversary of the company “Coiffirst”. Also, it was also the same of the birth of his second daughter! Many events in one day! During this evening, all the press and the great leader of the hairdressing world were present here. These are salons put in the luxury category. The price of benefits servcices consultations are high. Trees provide breathable air, timber, fuel, food, shelter, medicine and beauty. Without trees, we could not live. They can help us think better — Plato and Aristotle did their best thinking in the olive groves around Athens, Buddha found enlightenment beneath a bo tree, and Isaac Newton realised his theory of gravity when an apple fell from the tree under which he was sitting — and they can help us feel better. Many of today’s pharmaceuticals are derived from trees. Aspirin comes from willow bark; yews are the source of Taxol, used in the treatment of some cancers; ginkgo biloba improves circulation; tea tree oil is beneficial for skin infections; cinchona tree bark contains quinine, the basis of many anti-malarial drugs; and Pycnogenol, which protects against deep vein thrombosis, is made from pine tree bark. “Life is a play that does not allow testing. So, sing, cry, dance, laugh and live intensely, before the curtain closes and the piece ends with no applause” said Charles Chaplin one time. Since I was a 15-years-old girl, this quotation has made me think about how to live my life to the fullest, enjoying every single moment. Even if I had to study all the weekend instead of having free time because I understood that if is it your choice, you have to do your best although it may not be easy. But, why the hell am I talking about this? Maybe another question can help: Why would someone go out of her comfort zone? Why would I leave my happy and ordinary life to live for a while in another, completely different country alone? I mean, “alone”. Let me explain to you from the beginning. I am always thinking about my future, my projects. Last year, I was finishing my degree in civil engineering in Uruguay and also planning to move with my boyfriend this year, when this opportunity came to light. It was about living for one and a half months in Santa Barbara taking English classes at EF. I thought it was the moment to say “yes” and I could not have made a better decision. I am going to talk about my experience emphasizing the amazing Cultural Exchange you can have sharing your mores, customs and culture and asking and being interested in each single little detail that is part of a different country in the world. It’s incredible how everyone thinks that his country is “normal”, and it makes me wonder “what is normal?” “for who?”. We are so absorbed in our reality that it is difficult to open our minds to the world. In Santa Barbara, I stayed in a house sharing my bedroom with a French girl first and then with a Japanese girl. My host family was a couple, Marietta from Philippines and Billy from U.S.A. Also, there was an Italian man staying there. Then, we were five people from countries with different native languages. Amazing! Not only did we learn a bit of each language, but I also gained an understanding of their lifestyles, their traditions, their countries. For example, in Italy they drink expresso coffee. It is stronger than the American. Italian people are very proud of their country. About France, I don’t know if I actually learnt so much, but I spent lots of time with my roomie trying to say some easy phrases or pick up lines in French, and it was very funny. Also, we were attempting to translate and explain some expressions and idioms which are amusing in our own countries. From Namiki (Japanese girl), just the day I met her, I felt the strong need to know about her language seeing that Google’s Translator didn’t translate her name in the right way. They have three types of writing: hiragana, katakana and kanji; they can use any one of these and it’s okay, or at least that is what I understood. In my class, I have mates from Austria, South Korea, Germany, France, Spain, Argentina and Chile. Also, I met people from Brazil, Hungary, Switzerland, Mexico, Saudi Arabia, etc. ; so I am going to talk about some interesting things that I learnt about these countries. In Switzerland, your first language depends on which part are you from; it could be French, German, Italian or Romansh. The most incredible thing is that there are just eight (8) million people! There are lots of work and there is no homeless! I met one girl from this country who not only speaks German for the reason that she belongs to this part of the country, but also she speaks Spanish and Dutch because of her parents’ origins. Also, I met a Swiss guy who speaks Italian and his parents are from Serbia. I had the pleasure of listening to the passionate story about this little country which has been in war almost always. Adding two different interesting things, people from Switzerland kiss three (3) times each time the say hello, and they don’t have one person who represents their country like a president, instead of that there is a group of people. The most different culture is from South Korea, I think. Firstly, they have two ages, one from their country and the other is the international one. They are 1 year old when they are born and, on the other hand, they change their age the first day of each year. I mean, everybody who was born in the same year has the same age no matter when his true birthday is. Another thing that caught my attention was that every man who is over 20 years old has to be in the army for at least one (1) year to be prepared for a possible war against North Korea. What can I say about Argentina, Chile, Mexico, Spain and all the other Spanish-speaking countries? Maybe I didn’t really learn about them, but it was fascinating that, despite speaking the same language, we have a pile of words with different meanings and uses. It is really funny. Besides, each person has her own accent. It is wonderful that the same language is so varied and versatile. 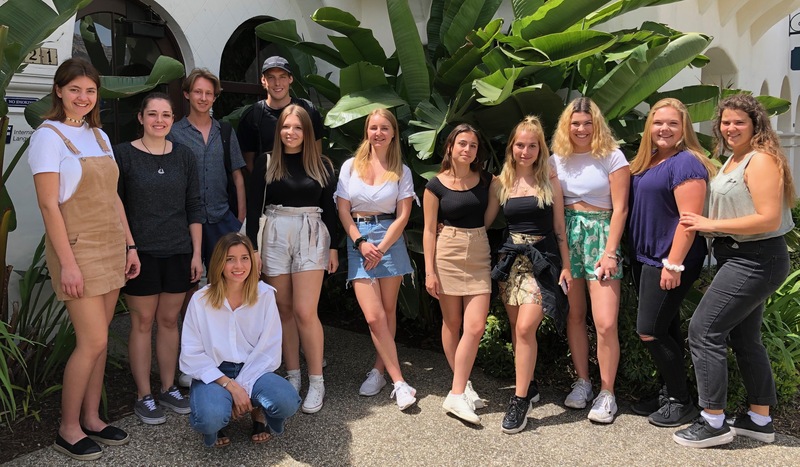 To sum up, I didn’t even tell the half of what I experienced, what I learnt in Santa Barbara. My mind was astonished by every little different thing I saw, I heard, I smelled, I tested, I felt. It was an excellent experience. It made me wonder if it would be good to have another experience like this, maybe larger, around the world. And the answer was very simple: Why not? The Amazon Rainforest is located in 9 different countries, but the majority of the land is located in Brazil, around 60%. 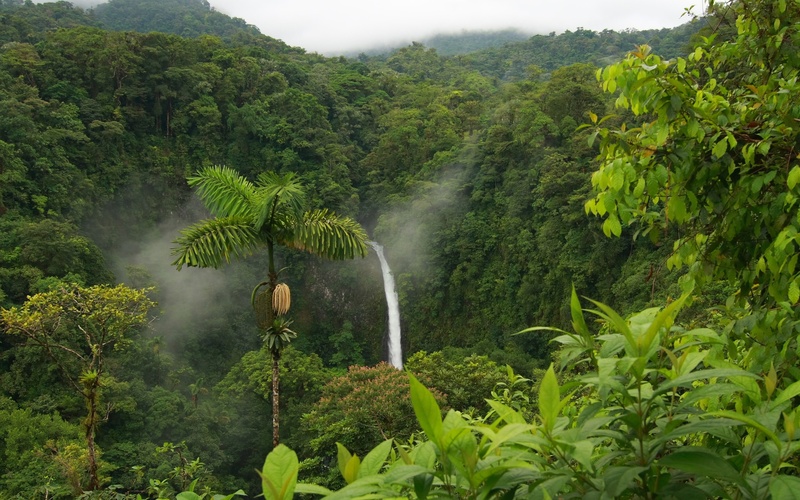 The rest of the rainforest area you can find in Peru, Colombia, Bolivia, Ecuador, Venezuela, Guyana and French Guiana. 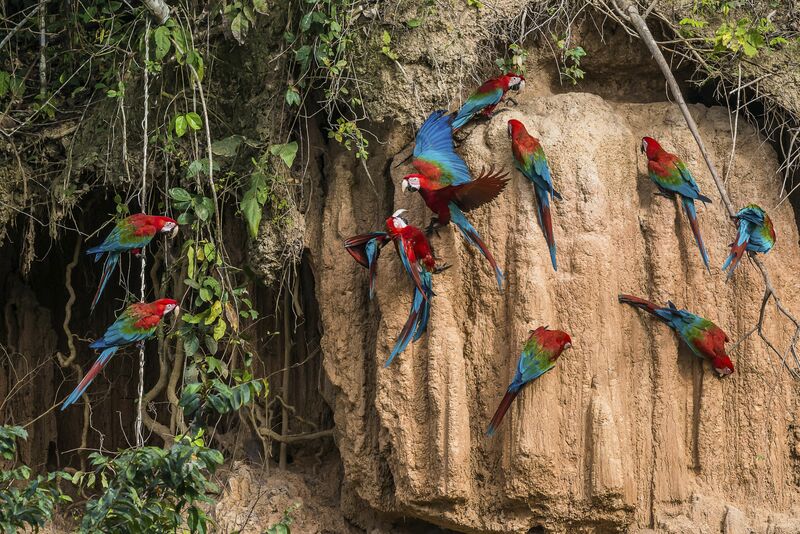 The Amazon rainforest,the largest rainforest in the world, is home to a large part of the world’s animals. This gigantic rainforest stretches over 2.3 million square miles so it’s really huge. 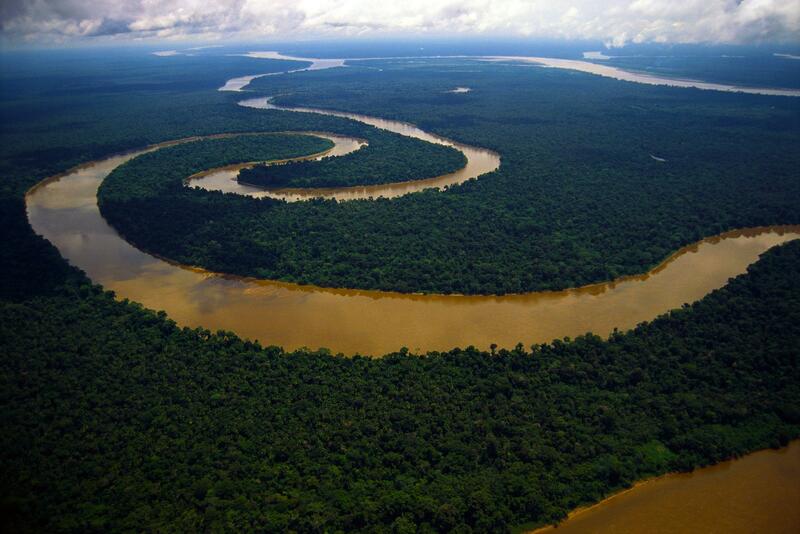 In the Amazon jungle, there is also a big Amazon river which is over 4,000 miles in length and the second longest river in the world after the Nile, which is located in Africa. Most of the water in the Amazon River actually comes from the melting glaciers from the mountains of Peru. The Amazon Rainforest has a big impact on us humans beings because it produces 20% of the world’s oxygen, and without oxygen we cannot breathe, including the animals also. But humans are quickly destroying this beautiful and important rainforest that we have. There are many reasons why people cut down the forest, people who take part in cattle ranching, farming and road construction, all contribute to the destruction of the rainforest. It’s a very big issue and if we keep doing things like this, we will have serious problems and we cannot live without the forest. In the last 40 years, 20% of the Amazon Rainforest has been harvested and in 100 years, more than half of the Amazon jungle will disappear. Every single minute, the rainforest reduces by an area of 9 soccer fields this must of course be stopped because there are many animals, plants and flowers in the rainforest to be preserved. If you compare it with Sweden’s forest, we cut down a lot of trees, but often we plant them back again to preserve the forest so it can live on and not diminish. But I think that they should do it to the rainforest as well. If they cut down trees, they should plant a new tree immediately so we retain this important and beautiful rainforest. But the people who cut the rainforest down, see opportunities in the place that becomes over when they cut down trees because the rainforest provides cheap work and provides a good plantations. I hope people that live in the rainforests or that work there should think bigger and think about the future because the rainforest is so important for us humans and of course for the animals which are living there. It’s their home and the people are just coming in there and destroys their home. I think It’s so bad and terrible that humans can do that, and I really hope that it will be an and of all that thing people do to our beautiful rainforest. 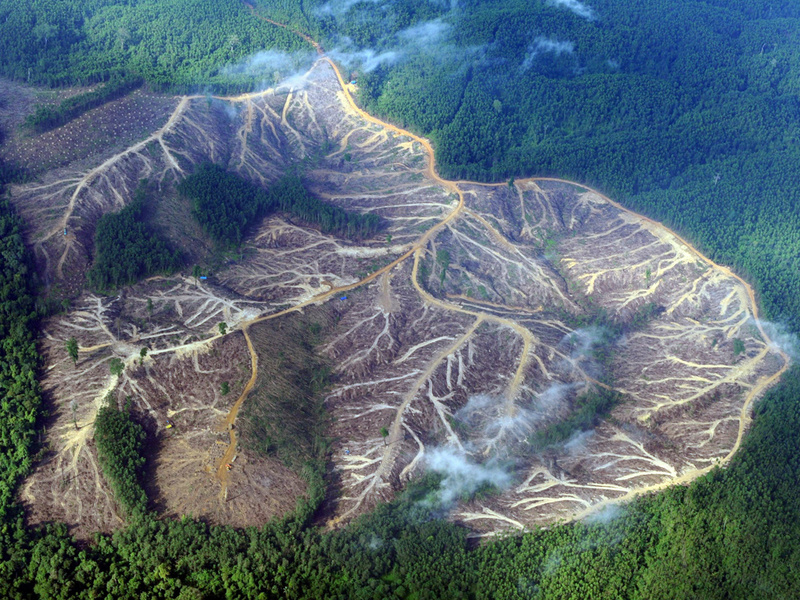 It makes me scared and angry that people destroy so much of the rainforest every day. People should be more careful about our rainforest and think about the next generation so we can live on. If not the rainforest lives we can not live either. In July 2018, the band released their second single “When the Curtain Falls”. Just one week later, they appeared on the TV show The Tonight Show Starring Jimmy Fallon and made their TV debut by performing the new single. 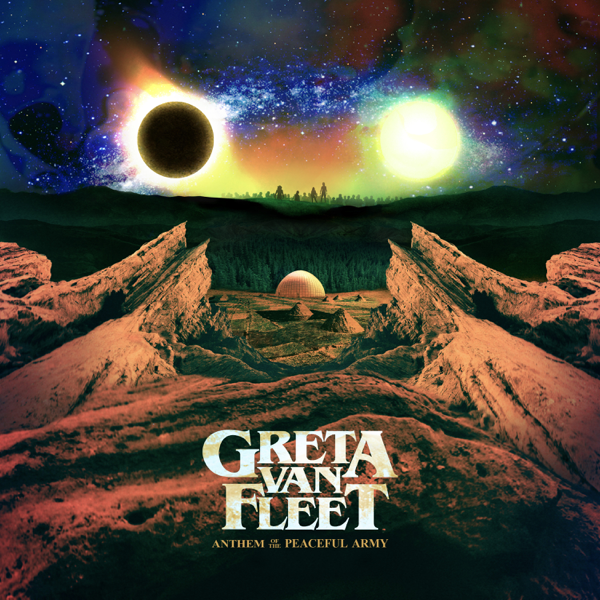 Greta Van Fleet released their debut album “Anthem of the Peaceful Army” on October 19, 2018. It was the top selling album in the first week in the US and debuted on number three of Billboard 200. 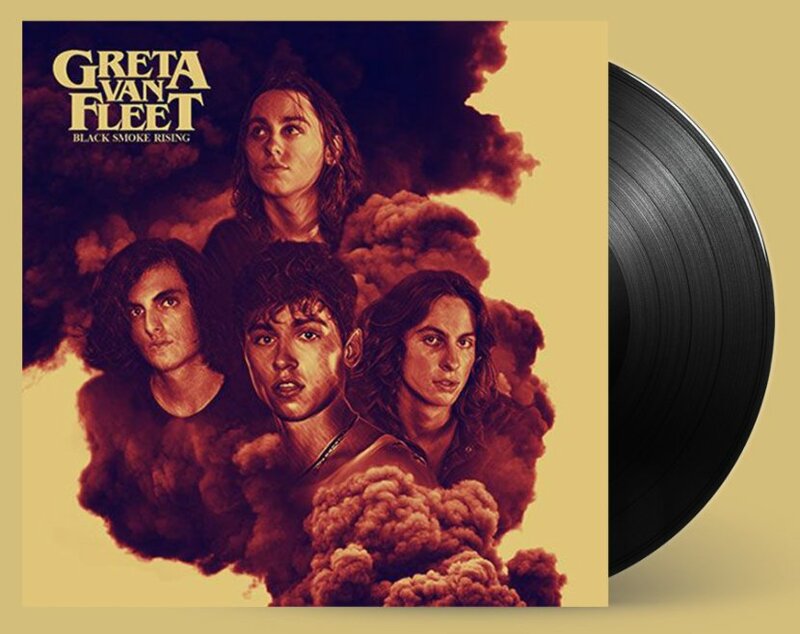 Currently, Greta Van Fleet is nominated for four Grammy Awards, including Best New Artist, Best Rock Performance (“Highway Tune”), Best Rock Song (“Black Smoke Rising”) and Best Rock Album (“From the Fires”). The Grammy Awards ceremony will be held on February 10, 2019 at the Staples Center in Los Angeles. Even if they’re not going to win any Grammys, they showed the mainstream music industry and the whole world that Rock music isn’t dead at all! It’s alive like back in the 70s, and it will celebrate a comeback the next couple of years!! Los Angeles, the City of Angels. 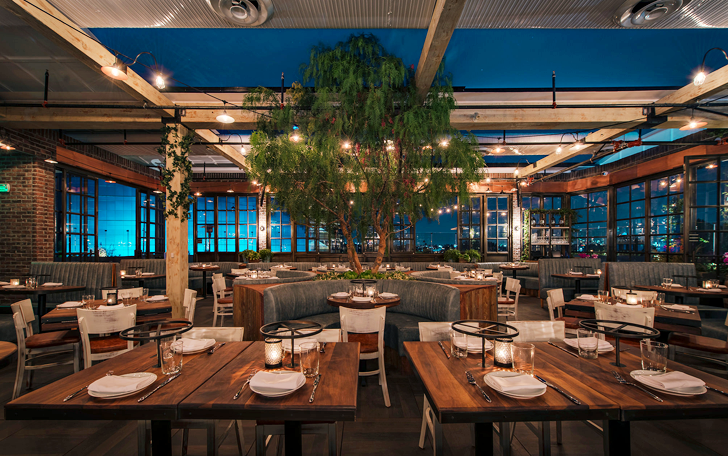 In Los Angeles, you will find a lot of restaurants, from cheap ones to really expensive and luxurious ones. It depends on what you want to eat, but you can find everything you wish for. In this article, we will discuss our favorite restaurants from affordable ones to some more expensive ones. 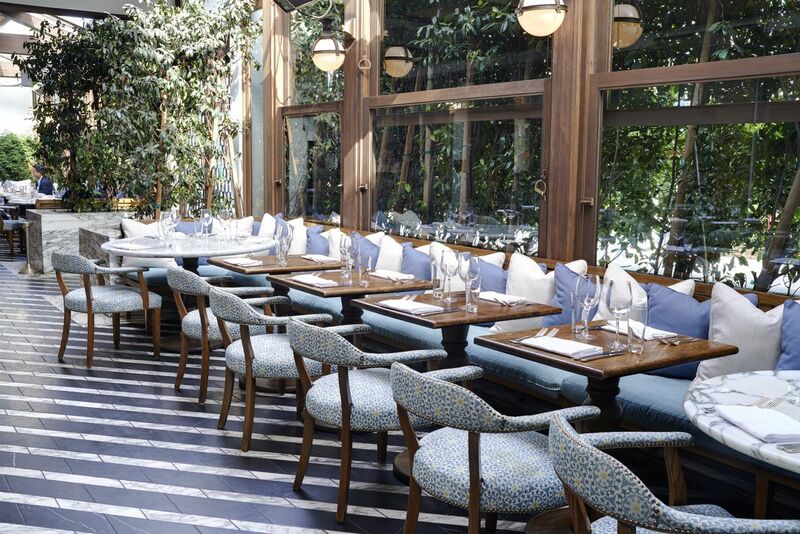 $$$$$ – Catch LA is a really expensive, exclusive and luxurious restaurant located in West Hollywood, 8715 Melrose Avenue. They mostly serve seafood. A lot of celebrities visit this restaurant. If you would like to have dinner here, you need to make a reservation in advance. The vibe here is really chill and luxurious at the same time. We recommend the mushroom pasta and the truffle fries. In our opinion, this restaurant deserves 5 stars because of the mix between good food, drinks and a nice atmosphere. $$$$- Tao LA is located at Selma Avenue in Hollywood. It is a really nice and exclusive Asian restaurant with a lot of different kinds of food and cocktails. This restaurant is pretty expensive. You should make a reservation in advance. This restaurant has a relaxed and lush vibe as well. It feels like you have a lot of privacy here because it is really dark inside of the restaurant and it has a mysterious atmosphere . We really like this restaurant even though it is expensive. 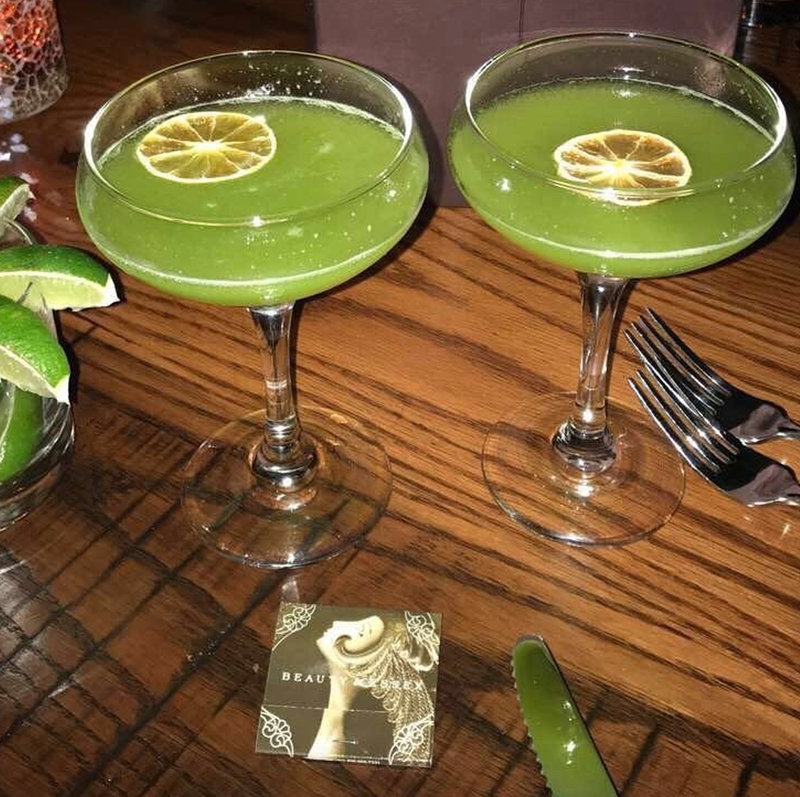 We think that the place deserves 5 stars and we can highly recommend that everyone should try the tuna and also the Moscow Mule, if you are over 21 of course. 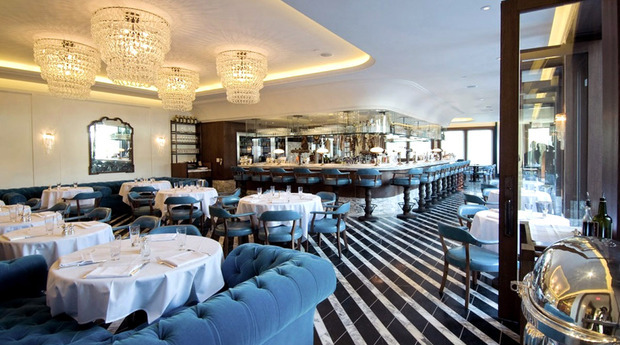 $$$ – Cecconi’s Los Angeles is located at 8764 Melrose Avenue, West Hollywood. This is a really pleasant and laid-back restaurant. 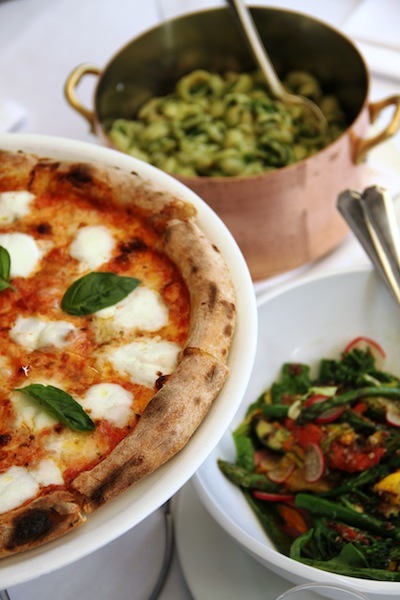 You can find different kinds of Italian food like pizza and pasta, and they also have a really nice bar that you can enjoy. The people who work here are very friendly and help you with everything you need. This is also a location where many celebrities go for dinner so, if you are lucky, you can spot one. We recommend the pizza here, and we gladly give the restaurant 4 stars, because its a really good restaurant with good service and food, but it has nothing unique and, compared to the restaurants above, it is not 5 star quality food. 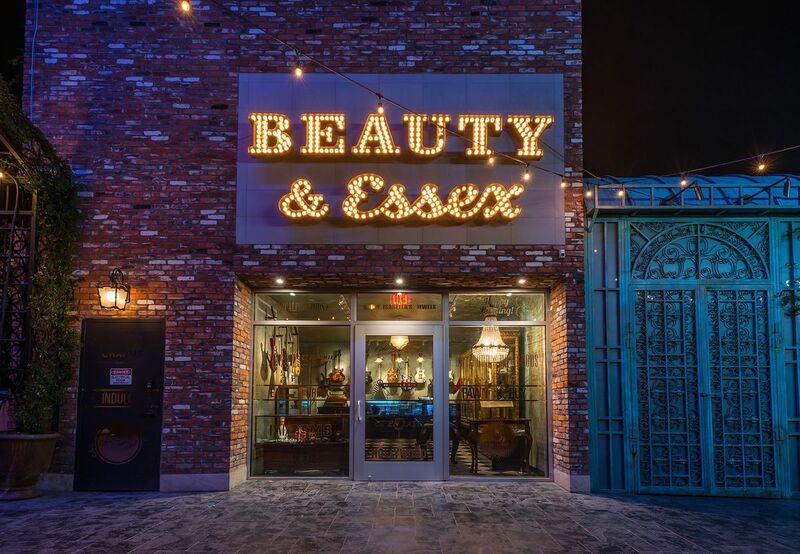 $$$ – Beauty and Essex is located at 1615 Cahuenga Blvd, Los Angeles, CA 90028. 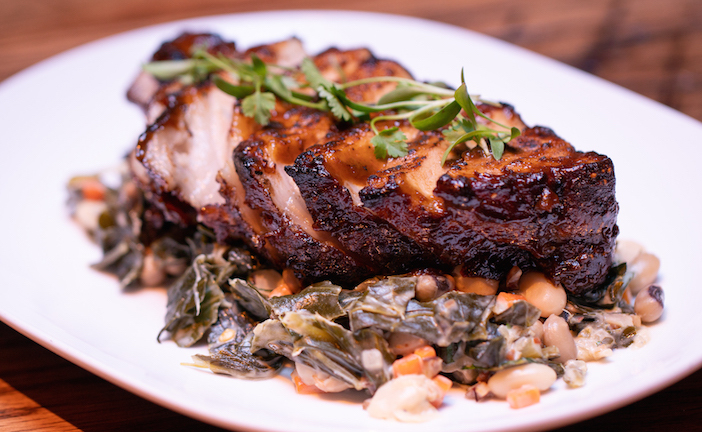 This restaurant is one of our favorites in Los Angeles. They have a lot of different types of food, from Asian to traditional American. Something we really like about this restuarant is that you enter into a small jewelry shop and go through a secret door where you can find the restaurant. This place has two floors. On the first floor, you will find the restaurant shown in the third picture above, and on the second floor, it’s more of a loungeplace where they have a DJ who plays music. It has a really cozy vibe and the food is really good. They also change their menu on holidays, for example on Thanksgiving they have a special Thanksgiving menu. $$ – The Butcher The Baker and The Cappuccino Maker is located on 8653 Sunset Boulevard, West Hollywood, CA 90069. 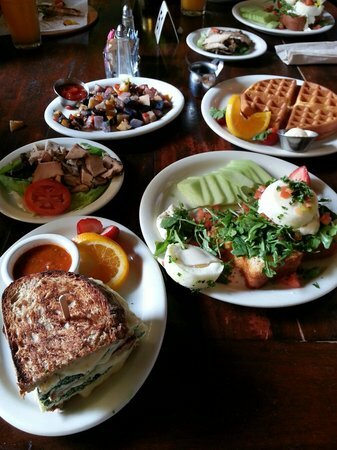 This is a very popular brunch/lunchspot in Los Angeles, but you can also eat dinner here. We recomend everyone to go here at least once, and especially for brunch when the sun is out. The food and the service is really professional so everyone will feel welcome here. Because it is such a populare place, you might have to wait for a table if you do not make a reservation before. This is definitely our favorite place to have lunch, so we give this place 5 stars. 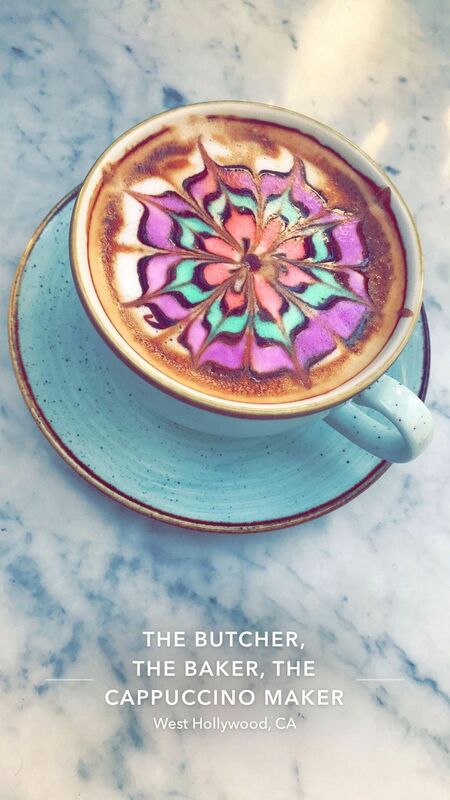 A little tip from us is that you should order the “artlatte” because it is very instagramfriendly. 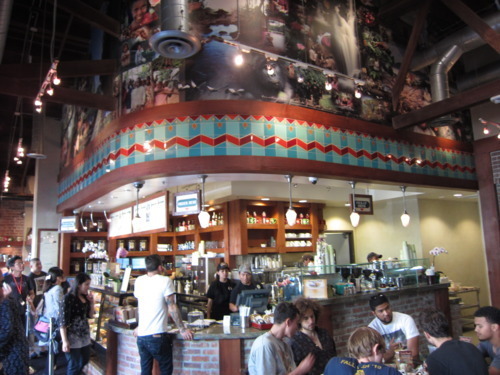 $$ – Urth Caffe Melrose is located at 8565 Melrose Avenue, West Hollywood, CA 90069, but they also have a place in downtown LA. This is a popular lunchplace for people who like to eat healthy food. They have many different salads, sandwiches and juices and almost everything is vegetarian/vegan. From the outside, it looks pretty, but in our opinion, the inside does not look that attractive. It is very basic and they should make it more modern. 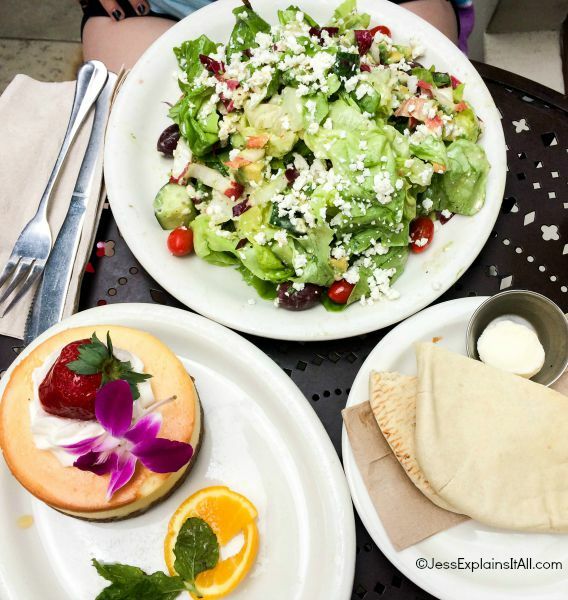 The food here is okay but nothing special according to us, therefore, we cannot give this place more than 3 stars, but it is still a delightful place to go to if you want to have a quick, healthy lunch. We hope that our little guide can help you to find the perfect place for your different foodmoods around Los Angeles. How can we decrease the quantity of homeless people in the USA? Well, that is actually a very good question and a quite important one. ”There is a lot that happens around the world we cannot control. We cannot stop earthquakes, we cannot prevent droughts, and we cannot prevent all conflict, but when we know where the hungry, the homeless and the sick exist, then we can help.”~ Jan Schakowsky. Jan has a good point of view, but why is it so hard to help the homeless people? Are there more homeless people in America than there are in Europe? The answer is yes. Not only because America is a lot bigger, but the percentage is also a lot higher. One of the reasons is the financial crisis in 2008. Since that year, the number of homeless people has increased. In this period, the prices of the houses had increased, but the salaries did not. Therefore, a lot of families had to live on the streets. Also natural disasters and health problems are a huge factor that leads to people becoming homeless. Europe does not have as many natural disasters as America, and if there are, they are much less fierce. 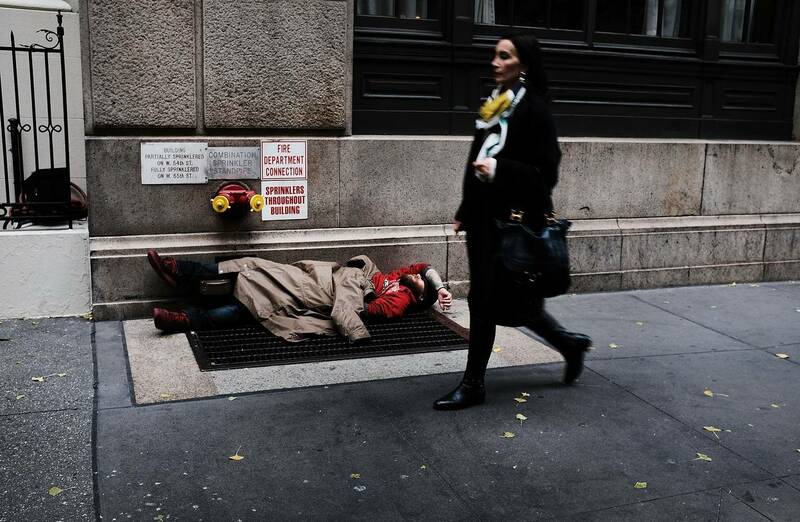 Another difference between America and Europe concerning homeless people is the health care and income. In most of Europe, people have to be insured, and even if you are not, you have the right to be helped. Because of the income unemployed people get in Europe and the health care they receive, it is much more unlikely for them to become homeless in Europa than it is in America. Volunteers America works to prevent and end homelessness through different services. They reach out to homeless people by talking to them on the streets and mobile outreach services. Once they are in contact with the homeless people, they are going to make up a plan how their service can best help them. The plan can be for a homeless individual, a whole family or just a child. 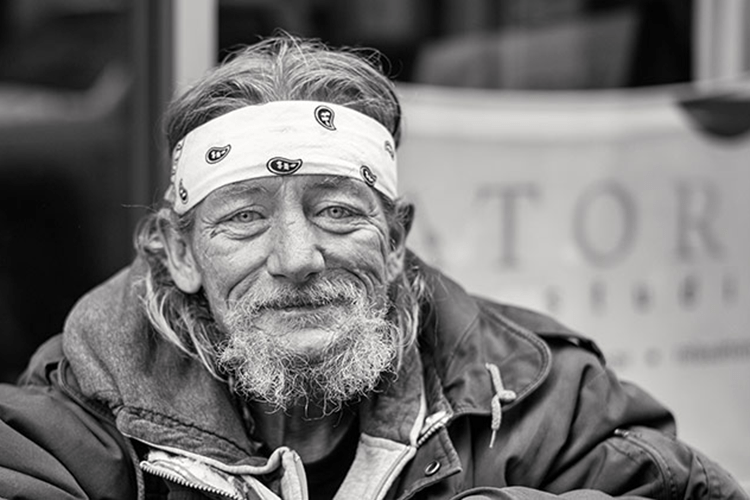 Helping homeless people is more than only taking care of a new home, it is also about giving support and advice on how to get and keep a job. They have to become independent again. It is a long and difficult process until independence can be achieved but with the help of volunteers, it is possible. The state of Alabama has the highest number of homeless. Number two is Arkansas and third is California. Alabama has 6,080 homeless people with a population of 4,875 million. Arkansas has 2,712 homeless people with a population of 3,004 million. California has 113,925 homeless people, with a population of 39,45 million. California has the most homeless, but in comparison to the population it is the lowest percentage. In Santa Barbara, a city in California, there are 900 homeless people. The new council wants to built emergency shelters. In order to do that, Homeless Emergency Aid Program called (HEAP), will give the city of Santa Barbara 9.4 million dollars. Although there are a lot of volunteers who want to decrease the number of homeless people, there are still too many. 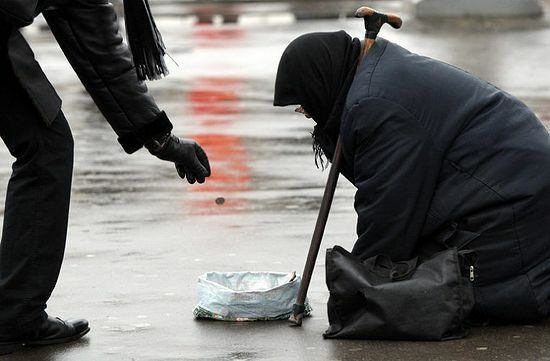 Once you become homeless, it is very hard to go back into society again. 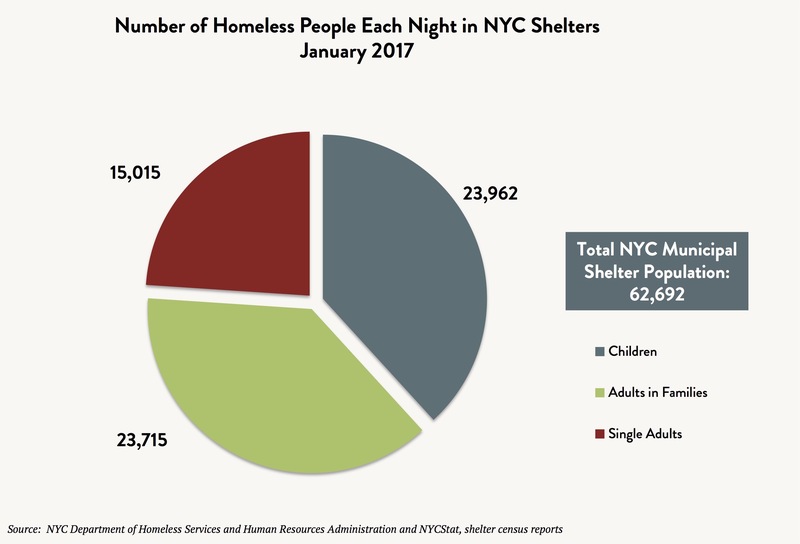 The number of homeless people is still increasing and there is not much we can do at this moment. Because America is so different in comparison to Europe, it is hard to use the same method to decrease homelessness.